"Aiyya" Movie Poster and Wallpapers (Rani mukerji) Anurag Kashyap's film "Aiyaa". Rani Mukherjee's career may be gone on track in this year. This year may be lucky for her as she has two lucky charms for her upcoming 2 movies. "Aiyaa" which is Anurag Kashyap's movie who had change era of Bollywood Movie concepts. "Talaash" starring with Aamir Khan (Perfect Actor) and Kareena Kapoor (Sexiest woman of the World as per Maxim Magazine Survey). As "Aiyaa" is Anurag Kashayap's movie it contains different story from her other movies. 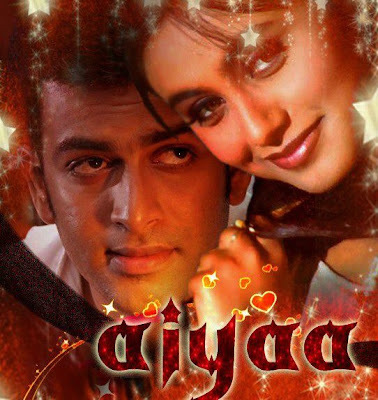 Rani Mukherjee play a marathi girl's role who fall in the love with a Tamil actor (Prithviraj). As per Buzz she will be performing 3 item numbers in this movie. This movie was release on 28 sep 2012 but delayed by Anurag Kashayap and team and may be released in October. nice, rani is looking awesome in movie.